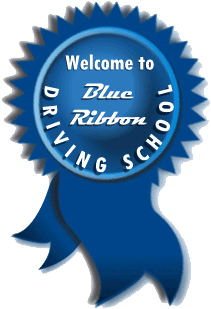 Blue Ribbon Driving School, LLC, is licensed by the State as a driver education and driver training school. We strive to provide the best quality service and customer satisfaction. Blue Ribbon features an instructional staff of professional educators who are licensed by the state of California. The staff is patient, knowledgeable, and experienced in communicating with the learning driver. We excel at preparing you for the road test and strive to make you a confident driver. Our instruction is one-on-one. All cars are dual controlled and have commercial insurance coverage. We know there are many driving schools to choose from, but consider what we offer, we think you’ll be satisfied! Upon payment online, contact us to schedule the lessons.